This entry was posted on April 14, 2010 at 8:31 pm and is filed under Essays, The Financial Meltdown: A Guest Post from Mrs. KfC. You can follow any responses to this entry through the RSS 2.0 feed. You can leave a response, or trackback from your own site. Bravo Mrs. KFC! When Kevin announced your post I couldn’t wait! I have only read the first on your list, Too Big to Fail. Did you notice, by any chance, the players from that building you visited in late November? I found that book as riveting as any work of fiction I’ve read recently, though that might be because the players and the game are getting more and more familiar. Your final words are echoing. Thank you for your kind words Trevor. I fear that the players are getting more familiar because they are all interchangeable. It’s frightening how soon we forget, isnt it? I agree with Trevor, thanks Mrs KfC. 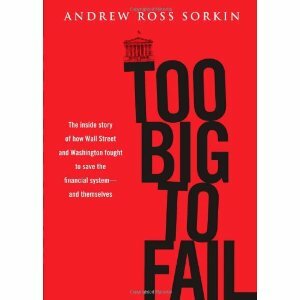 As an old lefty but not an economist I’ve been fascinated by the whole crisis and I’ve been trying to find the uber -book that describes it all clearly. It seems odd that our politicians were so taken aback at the unfolding of the crisis. Liberal economists like Will Hutton have been warning about the spiraling levels of debt for years. The `house of cards’ analogy is appropriate I think. Here in the UK bankers are universally loathed but are still awarding themsleves huge bonuses whilst the Labour government wags its finger in an impotent manner. We keep hearing that unless these bankers are handsomely rewarded they will seek work elsewhere. ( so f*** off then…) Meanwhile drastic spending cuts here will ensure that life for the poor, the old and the disadvantaged will become much more difficult. The banking world is indeed a world of fantasy and speculation but the consequences of its folly and greed will be felt in the lives of ordinary people here for decades. Mrs. KfC (that would be Sheila), being a rookie blogger, didn’t realize that posting one hour before hopping on a plane to Spain means that she can’t respond to comments until she returns. I will try to fill in in the meantime. Mary: Thanks for the titles. We do have the Lanchester (it is titled I.O.U., not Whoops, in North America) and I have read some of his thoughts in the LRB. I’ve heard of the Tett and the Elliott/Atkinson does sound interesting (Mrs. KfC will comment later). 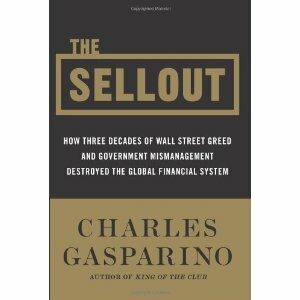 One of the things that I find interesting about this particular meltdown is that while it originated on Wall Street (where all the books that Sheila reviews are set), in many ways its most disastrous consequences took place far away (say Iceland, not to mention the UK) as others piled onto the game. Whereas in Canada, we got off relatively undamaged since our tired, old banking regulations got in the way of full participation in the scam. Thanks for your thoughts and good on you Canadians and your tired old banking regulations! I have very fond feelings for Canada as my great uncle Ted was a mountie and my great aunt Ginnie used to send gloroius Christmas parcels to us in the dreary old 50’s with dolls with real nylon hair and candy walking sticks in stripes – magical! I hope Mrs KFC made it to Spain as volcanic ash from Iceland ( not to mention their collapsing banks) has led to a plane free zone over the UK for the moment. Mary: Luckily for Mrs. KfC, she was travelling via Frankfurt and has made her way to Barcelona. A couple of her friends were travelling via Heathrow and got turned back halfway over the Atlantic — they are still in Calgary. Great job! Count me among those looking forward to your post and, subsequently, enjoying it immensely. I have not read any non-fiction about the crisis yet, but I am fascinated by the whole thing, including the unmasking of Maestro. Sheesh. Maybe too much Ayn Rand isn’t such a good thing. I am just wondering how long it will take to recover from this, or have we permanently reduced our standard of living. As Mrs. KFC points out, practices seem to be returning to “normal” while the economy still lags and only inadequate changes have been made to prevent a repeat. That may be something for the kids to look forward to experiencing, if we are lucky enough to wait that long for it. I think our kids are not going to be impressed with our policy-making. I am happy her flight went without a hitch. Kerry: “Our kids are not going to be impressed with our policy-making.” An excellent thought — the entire Tea Party movement is based on “we deserve it” and “screw the future”. That is only my opinion: Sheila will respond when she gets back. I still think that our generation has left nothing but problems for the one that follows us, and, even worse, we all lived so well. I am glad that Sheila made it safely to Spain! Well, I must thank her for the reviews. I started reading the NY Times reviews for these books and I got bored. Her reviews were better to read. As to the downturn, I don’t think it’s over yet. There are many books to be written. For example, many banks were infused with cash. However, they are not lending any of the money to small business owners, who need the cash RIGHT now. Where is the extra money??? Another mystery needs to be solved. Great round-up, Mrs KfC. I looked at the Sorkin book but was worried he was too connected to the big beasts he was reporting on: not an issue, based on your precis. I recently read Lewis’s Liar’s Poker, which although about his experiences in ths 80s bull markets, could have been written about the current crop of Masters of the Universe and their (even more) egregious behaviours. 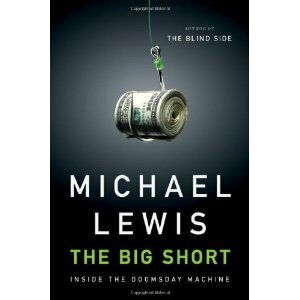 The Big Short is on the wish list – am awaiting the paperback. Hope you enjoy IOU (Whoops! where I am)…I thought it was excellent, and does as you say cast the net wider then Wall St alone. My work is about the previous crash, not this one, but I hope people keeping raising whenever possible the question you raise: how could this happen? The follow-up question is obvious, but sadly may not be given a satisfactory answer. Very interesting round-up. I wish more journalists would read these books and then use the knowledge when they interview politicians, regulators, and Wall Street types. So often these sometimes clueless, but more often than not complicit parties get away with repeating endlessly that no one saw it coming. People did see it coming but those in government and on Wall Street had too much to gain from pretending like it could go on forever. And then of course there is the complicity of Joe Public who thought he could afford a $500,000 home when he only made $60,000 a year. Certainly many were hoodwinked by unscrupulous mortgage brokers and bankers and the big banks that incentivized them, but just as many chose to believe that money was free and that the old dictum “what goes up…” didn’t apply anymore. Fascinating, and good to see Michael Lewis back on form, his last couple of books I thought weren’t as strong as some of his earlier. I’m curious too to hear what Mrs KfC makes of the Gillian Tett, I’ve heard good things of it. The whole saga is remarkable, though even more remarkable is the lack of post-crunch regulatory response. Essentially, nothing is changed. Business as usual. The point on regulators is well made, my experience of them is that they’re just not paid that well, compared to in-house as compliance officers. If you’re a skilled regulator, you can carry on in that job or take a salary multiple and go to a bank. It leads to a hollowing out, senior regulators are often ex-bankers, junior regulators are compliance officers in training. The regulator becomes a form of outsourced training department. Thanks for this post, I found it very interesting and when Sheila’s back I look forward to her comments. In the meantime, the question which seems always to remain relevant is this: Where are all the customer’s yachts? 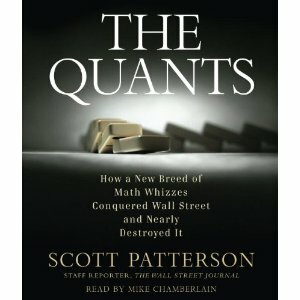 Thomas, Max: As both The Quants and The Big Short show, there were quite a few people who did know that this was all a house of cards — it seemed to serve a lot of people’s interests to ignore them. I have the same impression that you do of the regulators, Max. There’s just too much money being employed in a bank — “outsourced training department” is what the regulatory agencies become. Much the same happens with the reporters who Thomas mentions. Once they get a basic understanding of the financial world, they head off to become analysts at three or four times the salary. And there are certainly many, many more analysts than there are financial reporters so I don’t think that is a circumstance that is likely to change. Mrs. KfC will be back with more thoughts in about a week. thank you for your comments on my guest post, and for your forebearance in overlooking my rookie mistake (writing a post then disappearing to Spain for 2 weeks). Thank you also, KFC, for responding to some of the comments in my abesence. I’ll reply to individual comments in separate notes below. Kerry: “how long will it be until we recover from this”? Alas, a long time for the average person to recover, I fear, but the Wall Street types havent missed a beat. They HAVE recovered. And Mary, I will read “The Gods that Failed” as soon as I can find it, and let you know what I think. I did read Lanchester’s book and while it was interesting, I didnt find anything new or compelling in it, having read the other 5. If one were to read it, I’d suggest substituting it for “The Big Short”, as they cover the same teritory. Isabel; Indeed there are many books to be written, and I hope that people do read them, and understand how careful we all have to be with respect to our investments. The days of the trustworthy, local banker are long gone, we are now in an era of Caveat Emptor writ large. Leroy; I agree with you – Lewis is at his best writing about Wall Street, and this last book is another example of him in top form. It seems that this keeps happening, but the cycles get shorter (Enron, Worldcom, etc was only 9 years ago) and the amplitude gets more severe. It’s depressing, isnt it? Thomas: People seems willing to suspend disbelief when offered a good deal. If only everyone remembered – when something seems to good to be true, it is! And many of the folks who were lured in to huge mortgages trusted the vendors, who were in this only for commissions. You are so right. The big bucks get paid in the investment banks and hedge funds and the regulators get paid a pittance (relatively speaking), so the system is rigged (in this and many other ways). It is also interesting (read “terrifying”) to note that in the US, the best credential for senior powerful positions in any administration is a career at Goldman Sachs. If you look back over the last 75 years, virtually every administration has had GS alumni at the epicentre of financial power, making regulations to benefit guess who? It is remarkable. I’ve mixed views on Matt Taibbi’s stuff but he has brought out the ubiquity of Goldman’s quite well (though if I were on Goldman’s franchise committee I’d be hanging out in dark alleys with a baseball bat and hoping to run into him). i remember browsing your note mentioning a book she was involved in publishing… can you kindly forward me the web link to that site with the pdf samples Kevin as i cant seem to locate that specific post?!?! Here’s a link to my review of her book. Unfortunately the pdf version is no longer available but at the end of the review you will find a link to the Canada West Foundation site that further describes it and which also has a link to the pdf file of the Vision document that resulted from the project.